On September 5, 2017, residents of the Pacific Northwest awoke to ash falling from the sky like snow. 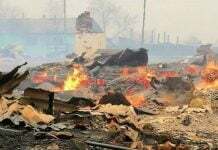 But even as ash hit the ground, wildfires burning across the western United States and Canada lofted smoke high into the atmosphere. Some of it drifted all the way to Europe. I’m always amazed when events on one continent can have effects halfway around the world. And this exactly what is happening right now with the furious wildfires raging along the US and Canada West Coasts. 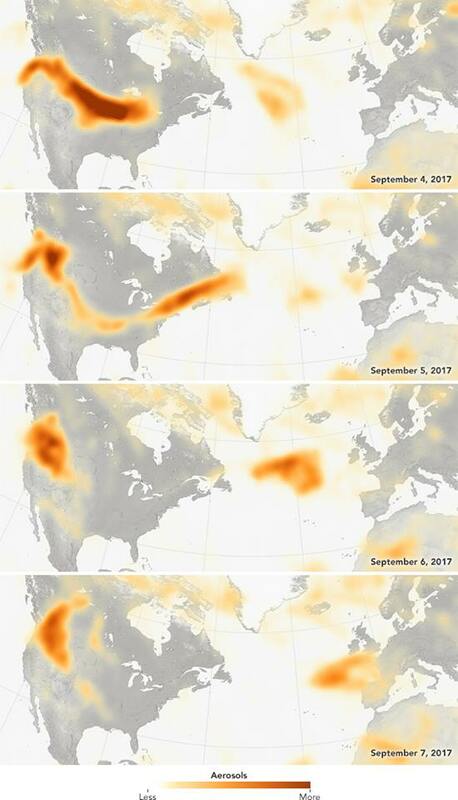 Within 4 days – Sept 4 to 7 – smoke clouds emanating from these large fires made their ways to Europe, crossing the entire North American continent and the Atlantic Ocean! That’s amazing! 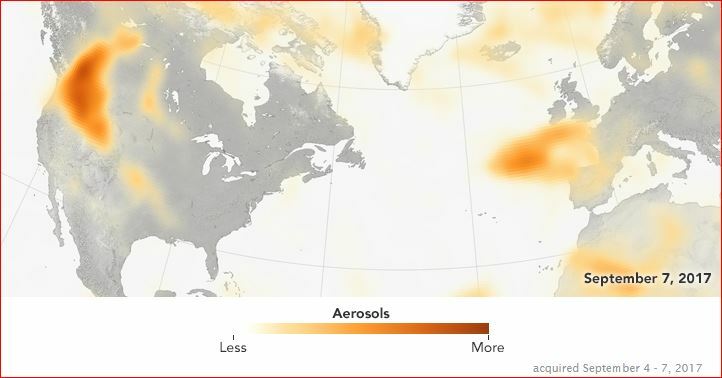 What’s shown in the maps is the smoke’s intercontinental journey, depicted by the relative aerosol concentrations, with lower concentrations in yellow and higher concentrations in dark orange-brown. They were collected between September 4 and 7 by the Ozone Mapping Profiler Suite (OMPS) on the Suomi NPP satellite. The sources of the high concentrations of aerosols are in the Pacific Northwest. They were carried across the continent and the Atlantic Ocean by high-altitude winds. 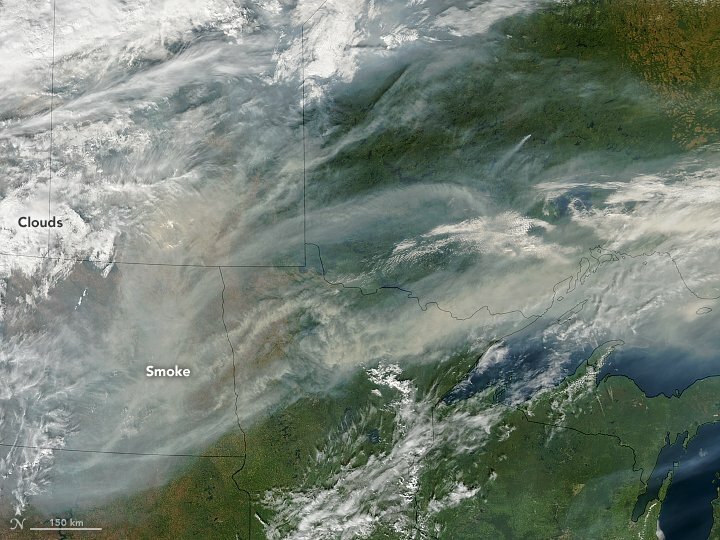 On September 4, the smoke appears to have arrived over the U.S. Midwest, and by September 5 it reached Newfoundland. By September 6, the smoke cloud is obvious over the middle of the Atlantic Ocean. By September 7, the smoke had arrived over Ireland, the United Kingdom, and northern France. It is not that uncommon for smoke from fires in North America to reach Europe. 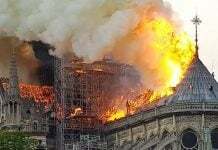 But this year, the smoke clouds reaching Europe seem to be larger and thicker as well as more persistent. 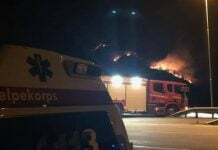 Large fires in mid-August sent smoke to Europe that hung around for days. Meanwhile, these wildfires are still burning. It is going to take awhile for everything to dissipate.